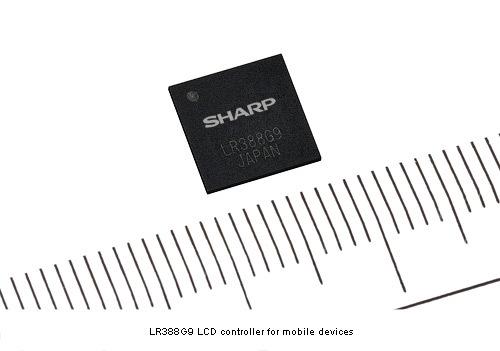 Sharp Corporation has developed and will introduce the industry first LCD controller for mobile devices that enables simultaneous display on two different screens at half-XGA (480 x 1024 pixels) resolution. The new LR388G9 LCD controller offers dual display capability, enables two different contents to be displayed at the same time on two separate LCD screens, also enables full-HD video to be output to an externally connected LCD TV, video projector, or other similar device. It features 32 Mbits of built-in video memory, combined with faster image processing speeds, a high-speed serial interface (MDDI 1.2/MIPI)3 and a diverse range of other interfaces such as those for cameras, SD memory cards, and IrSimple. 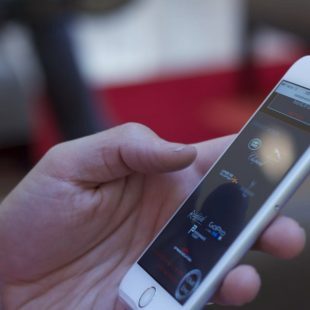 This new LCD controller will helps to making mobile devices such as mobile phones, smartphones, and eBook readers, smaller and will reduce new-product development time.